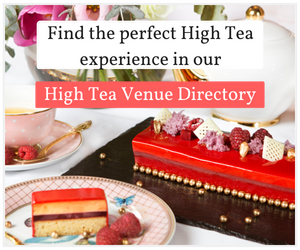 Many high tea venues are serving such generous portions among their three-tier trays that high tea can now be seen as an entire meal in its own right. 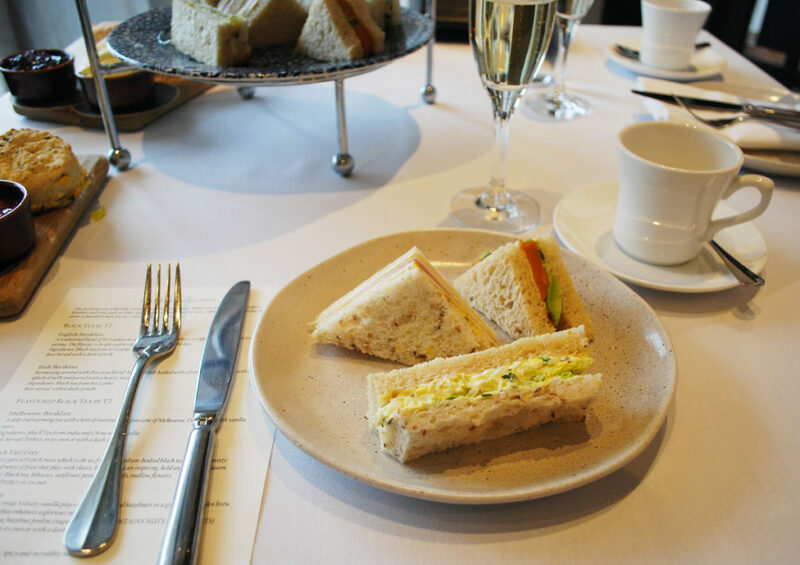 Traditionally, high tea was served as small bites to tide one over between lunch and dinner. 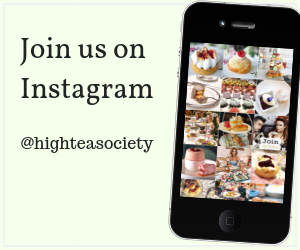 However, many high tea venues are serving such generous portions among their three-tier trays that high tea can now be seen as an entire meal in its own right. 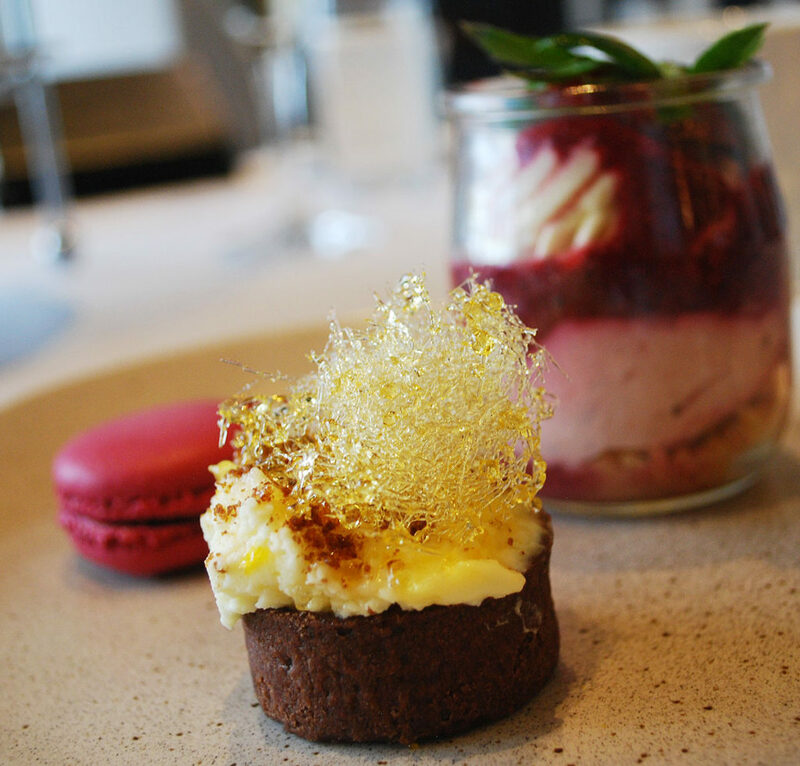 Melbourne’s Hotel Lindrum is one of those places. Located along Flinders St, the Hotel Lindrum building has had many incarnations, first opening in the early 1900s by Melbourne tea merchants, the Griffiths Brothers. It was also a printing headquarters for the Herald and popular billards venue before opening as a boutique hotel in 1999. 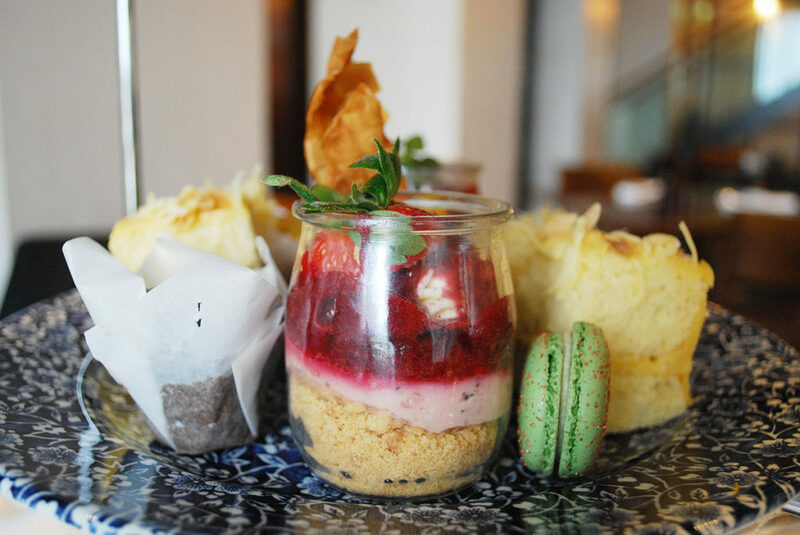 Today, the hotel pays homage to its extensive history with a billiards table adjoining its ground floor restaurant, Felt, and high tea offering. 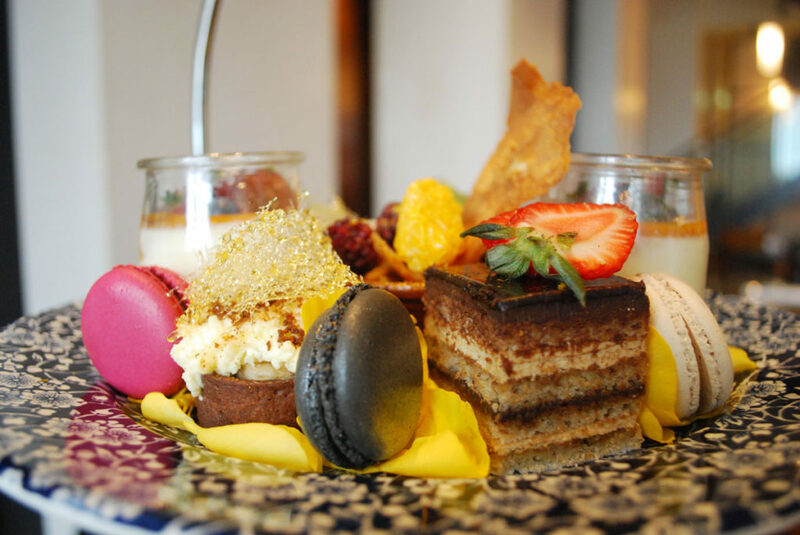 It’s in Felt that the Hotel Lindrum started serving high tea three years ago. We are the only ones here on this Sunday, but are told that the venue is a popular one for bridal and baby shower high teas. Our table is set with a white linen tablecloth and matching napkins, and we are offered a glass of sparkling wine on arrival. We also have a choice of 18 different T2 loose leaf blends – served in silver teapots – and Padre espresso coffee available throughout the service. 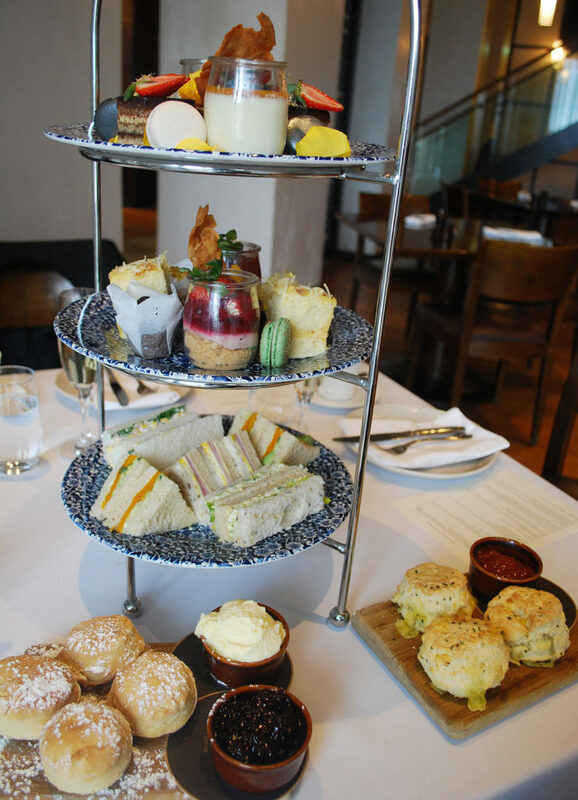 The food is served promptly on a blue and white floral patterned three-tier cake stand, with two additional wooden boards bearing both sweet and savoury scones. It’s clear from the outset that the menu is more-ish, with two sweet scones per person, three savoury to share, plus the finger sandwiches and desserts. 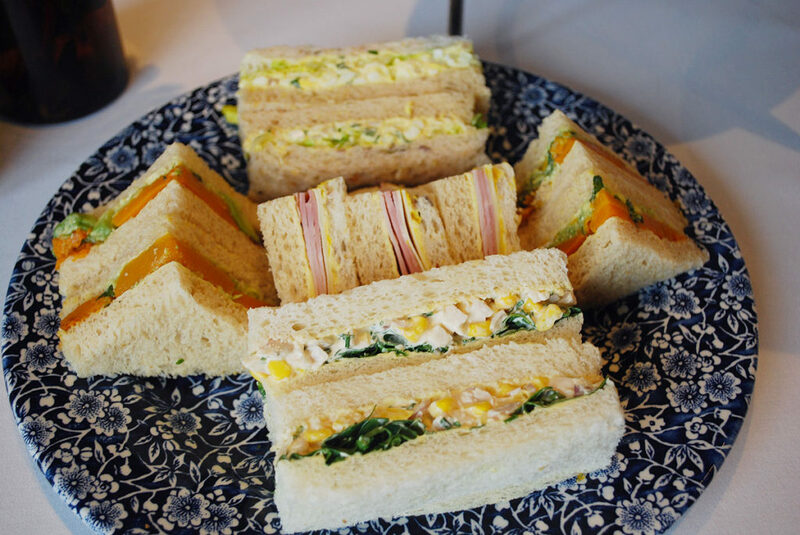 We start off with the sandwiches and are pleasantly surprised to find that among the more traditional ham and cheese and egg fillings, there’s also a melt-in-your-mouth pumpkin and avocado sandwich, and corn interspersed in the chicken sandwich. 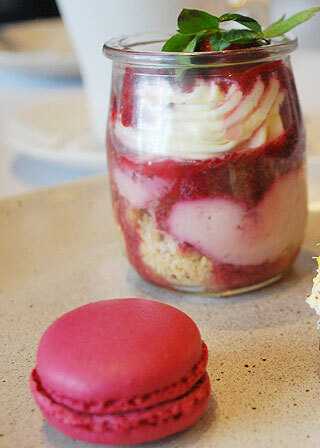 Moving up to the next tier, we are immediately taken with the deconstructed strawberry cheesecake served in a small glass jar, which is incredibly creamy and fresh and is easily our favourite item on the menu. 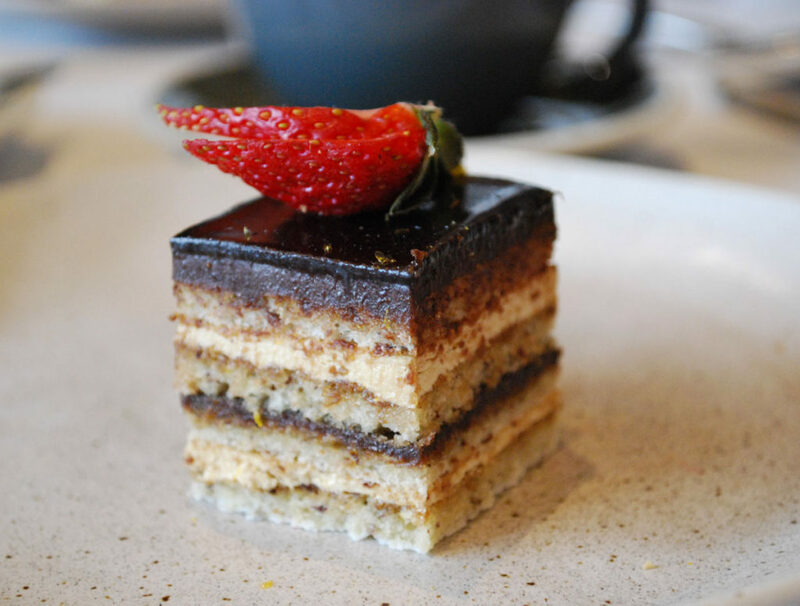 The crème brulee with a peanut-crisp garnish came a close second, and the opera cake had a great coffee flavour to it. One thing worth mentioning is the beautiful presentation of the serving – it was clear a great deal of attention had been paid to the offering, including yellow rose petals adorning the top tier. The only detractor, if you could call it that, is the inclusion of paper-wrapped mini cupcakes, which brought down the visual appeal of what was otherwise a stunning-looking offering. The best advice I can give with this high tea is: come with an empty stomach, because you have a lot to fit in! Your choice of 15 different loose leaf blends and Padre espresso coffee is available throughout the service. Saturday or Sunday from 1pm to 4pm. 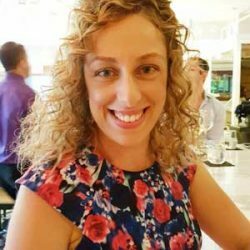 Monday-Friday can be booked on a request basis for groups of 20 or more. $60 per person including a glass of sparkling wine, or 10 guests for $540 (1 person for every 10 is free).